Is it a sneaker? Is it a boat shoe? Either way, the Sperry Top Sider Crest Vibe Linen is a shoe that was made for a good time. 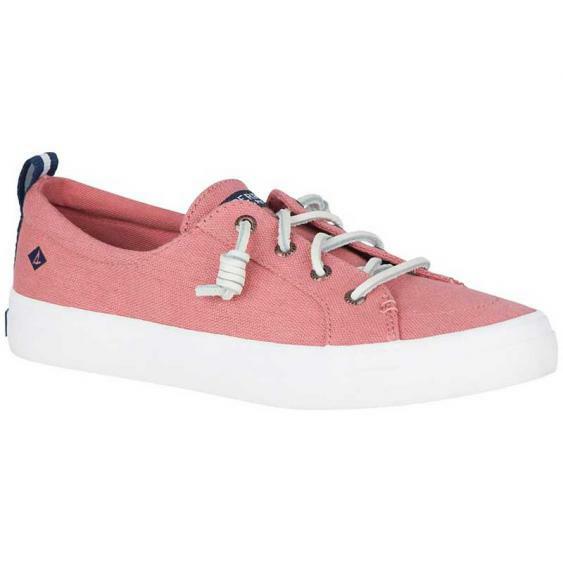 This casual women's shoe boasts a linen upper with a fixed lace system that delivers a secure fit. The vulcanized construction creates a secure bond between the upper and outsole, while also delivering that classic sneaker look. Inside, you'll find soft, breathable textile lining and a removable PU molded footbed for lightweight comfort and support. The non-marking rubber outsole with diamond pattern provides reliable traction on both wet and dry surfaces. Whether you're on the coast or land-locked, the Sperry Top Sider Crest Vibe will have you ready for some fun.